Female Choice Plumbing is owned and operated by women and was created as we felt there was a need in the market for customers who wanted to have confidence in the tradesmen that were entering their homes. The business is designed to cater for families, the elderly and in general people who want to feel comfort that the people coming to fix their plumbing emergencies are honest, reliable and reputable. Our handpicked tradesmen are highly trained in all areas of plumbing and gas fitting. They are available to assist you at any time of the day or night, 24/7. Our standard rates are available until 7:30pm on weeknights which means you won’t need to leave work early or pay a premium. Female Choice Plumbing have vans stocked with the parts required to fix most plumbing emergencies and can usually attend within the hour*. You will also receive for $50 off* your account (conditions apply). Female Choice Plumbing has Plumber Adelaide servicing all areas for Hot Water, Blocked Drains, Gas Fitting, Emergency Plumbing, Toilets, Taps, Burst-Leaking Pipes. All of our plumbers are fully licensed and our vans are well stocked for any plumbing job. Knights Bathroom Remodelling and Installations Call us now for great prices on remodelling your bathroom. A great finish at a great price Knights Bathroom Renovations ie your first choice for bathroom renovations. If you’d like to rejuvenate your sinks, tiles, bath, or shower area, our services are a fantastic option. You’ll get an exceptional result! Knights Bathroom can add a new lease of life to your tiled areas. We have a range of colours and finishes to choose from. Baths Shower recesses Sinks and basins Wall and floor tiles We are waiting to give your bathroom a brand new shine. Speak to one of our experts today We can help you choose a finish and colours that suits your home, or can bring your existing vision into reality. Knights Bathroom professional craftsman promise a sterling finish that will leave your tiled areas looking brand new. 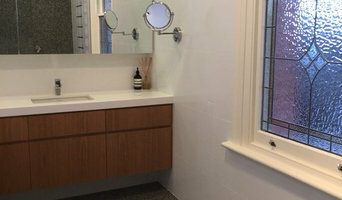 For long-lasting results at an affordable price, think Knights Bathrooms in Adelaide. Contact our friendly staff today to find out more about bathroom renovations. Finding any kind of service plumber at your place? We come with the fully qualified Plumber Adelaide that has provided service for all type of plumbing which is a very complex network work with different appliances that are linked with each other pipes that are connected with one system in the home. There are different issues like pipe blockage, low water pressure, installation, pipe burst, we come with all kind of solution of your issues. We are committed toward our customer just call us for any kind of plumbing service: 08 8261 0165, or may visit us: <a rel="nofollow" target="_blank" href="https://bestplumbing.com.au/">https://bestplumbing.com.au/</a> here. Seaview Plumbing Services are a family owned business who live and work in the local Seaview area. We are active members of the community, both professionally by meeting the plumbing and gas fitting needs of our community and personally. Our plumbing services extend further throughout Adelaide and include Brighton and Glenelg. We love where we live, we love what we do and we are pleased to provide a quality and honest plumbing service to all our clients. We provide much more than maintenance for our community. We believe in the words of Maters Plumbers Australia chairman Noel Abercromby who said that “The fundamental purpose of plumbing in Australia is to protect public and environmental health” and this is what we strive to do at Seaview Plumbing. We support our local community through a variety of sponsorships and also like to support local businesses in the area. Learn about our sponsorships, our female friendly accreditation and of course, why you should choose us! Contact us, we are available for all plumbing and gas emergencies 24/7 and we’ll always provide you with a quality job for a fair price, and No Call Out Fee. Kennewell Group carry out all general Plumbing and Gas projects as well as General Building maintenance, including Painting, Tiling, Carpentry & Plasterboard repairs. If we do not have the experience or skills to perform a task, we have the contractors that do. PLEASE NOTE, ALTHOUGH WE ADVERTISE "AFFORDABLE TRADESPEOPLE", WE DO NOT DO CHEAP & NASTY NOR DO WE "CREATE WORK". You have this big party at your place tonight and while working your heads off to make every little detail about it right, suddenly your kitchen tap starts leaking. A little leak is not a problem you think of but with the lapse of time, it turns in to a big leakage that wouldn’t be stopped by quick fix and you realize you need the assistance of a plumber immediately. But which plumber would be available at that time of the day, it’s already evening and even if you manage to contact someone, they would ask you to wait till morning. That’s where you need to contact an emergency plumber who would reach you at that instant with solutions to all your issues right that instant. When it comes to emergency plumbers, who would be better than the most trusted emergency/ otherwise plumber in Adelaide? We operate in all areas around the city and have a mobile team circling around the city just waiting for your call so we can reach you at the earliest and save you from your troubles. Our professional team of experts are available 24/7 all 365 days of the week. Call us today on 08 7070 6184. Pride Plumbing Maintenance Service is a Local Family Operated plumbing business based in Adelaide with a wealth of experience.We cater for all your domestic and commercial plumbing needs. 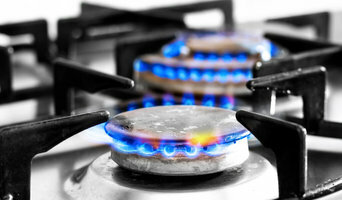 We cover all aspects of plumbing from repairing leaks, hot water heaters, blockages and renovations. Our professional and courteous service ensures you that all our work is completed to the highest standard at affordable rates. Call us now for a Free quotation, no job is too small! Mr Emergency Plumbing is one of the leading companies in Adelaide, offering the vast range of highly specific services in Adelaide Melbourne Perth Brisbane Sydney and Canberra regions. Our service range includes from residential to commercial areas. Give us a call today if you are in need of plumbing or gas fitting services and our professionals will provide you with an optimal satisfaction. Need a local plumber in Adelaide, Melbourne, Perth? Book Metropolitan Plumbing Today! Plumbers in Adelaide, Melbourne and Perth Metropolitan Plumbing is an plumbing maintenance company servicing all of Adelaide region as well as Perth and Melbourne with the right solutions for all of your commercial, residential and industrial plumbing needs. We use the most sophisticated satellite tracking available for Adelaide plumbing problems, which means the problem is fixed fast by a systems qualified local Adelaide plumber. Our Adelaide plumbers are available 24 hours a day, 7 days a week. We operate with knowledgeable and professional Melbourne, Perth & Adelaide plumbers and gas fitters with many years of experience. We have a large fleet of vans servicing all of the Greater Metropolitan Adelaide area, meaning we can have a qualified plumber and gas fitter to you within an hour. We specialise in maintenance plumbing, hot water heater repairs and installation, gas fitting, blocked drains and emergency plumbing. All of our Adelaide plumbers provide you honest, reliable and fast service for all of your plumbing needs. Following are some of plumbing jobs we do and areas serviced. With a lot of plumbing work done behind walls and underneath floors, some Adelaide, South Australia plumbers will also repair or replace tile, stonework or other surfaces, if need be. You’ll find most Adelaide, South Australia plumbers provide a variety of services, including maintenance and construction, covering gas, solar and electric. However, some will have areas of expertise. A 24-hour plumber, for instance, will be well versed in residential emergencies and repairs, while others may be more experienced in renovations and new homes, or the installation of septic systems, rainwater tanks, pumps and other special water and drainage systems. 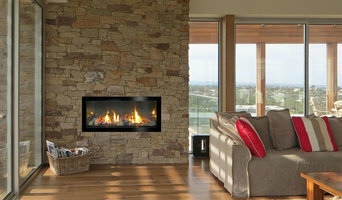 Find Adelaide, South Australia plumbers on Houzz. A leaking toilet or blocked drain can do more than just water damage, so never wait too long to call a local plumber. Start your search on Houzz by browsing the Professionals section of the site. If you're undergoing a renovation or home construction, you may also look through Photos to find local plumbers who have worked on projects similar to yours. If you’re planning a large-scale project, find other professionals on Houzz who can help get the job done. Here are some related professionals and vendors to complement the work of plumbers: Building Project Managers, Septic Tanks & Sewage Systems, Kitchen & Bathroom Designers, Kitchen & Bath Renovators.